UPDATE (September 27, 2018 3:36 p.m.): Daydream Republic has informed us that they have a special surprise in store for their next batch of orders. The Sip n Stash Cups will now be shipped inside cute gift boxes—so there's no need to buy extra wrapping paper. How cool is that? If you're a coffee lover who's trying to live a more sustainable lifestyle, you probably carry a tumbler around wherever you go. Well, we found another alternative that can help you enjoy your daily cup of joe without having to carry a big reusable tumbler: Daydream Republic's new line of collapsible cups can easily be stashed in your everyday purse. Aptly called the Sip n Stash, they're are perfect for people on the go who want to reduce their carbon footprint. Their second-generation 'Grande'-sized 450ml cups can hold both hot and cold beverages, and has a leak-proof system so that not a single drop spills when inverted or squeezed. A fan of color? The Sip n Stash cups come in five different options: grey, purple, rose, mint, and sky! 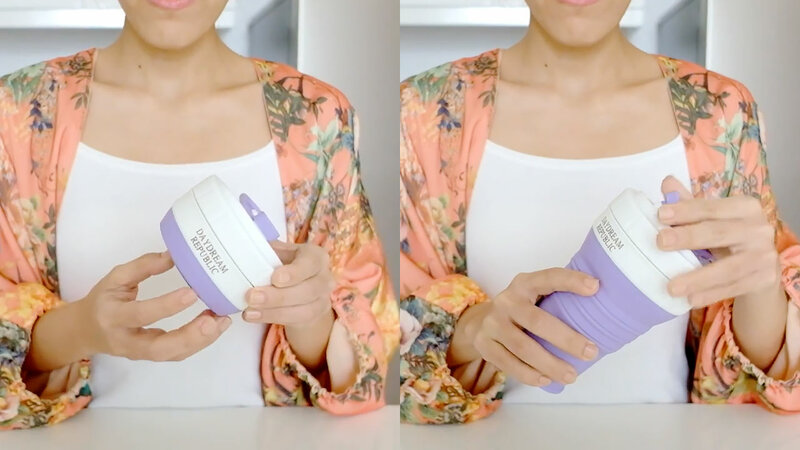 The cups can collapse to just two inches so it can easily fit in any bag—it even comes with a carry ring so you have to option to hang it on your bag's straps instead. Plus, it's microwave and dishwasher safe! 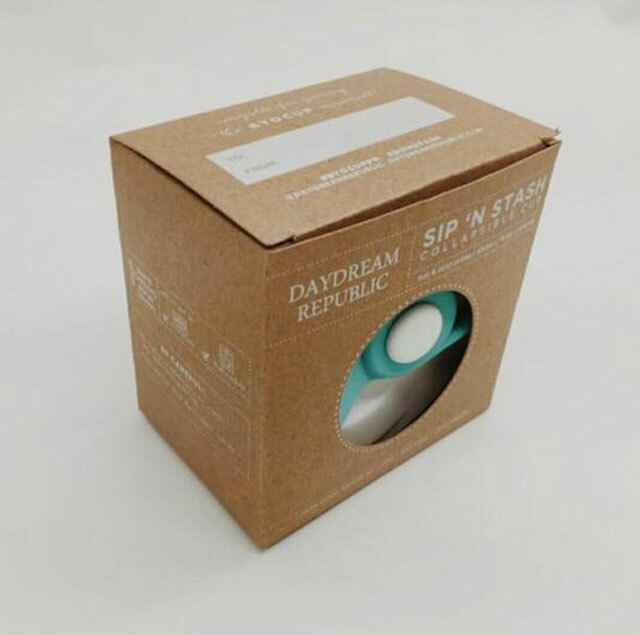 The Sip n Stash collapsible cups are available on Daydream Republic's website for P550 each, with free shipping nationwide.